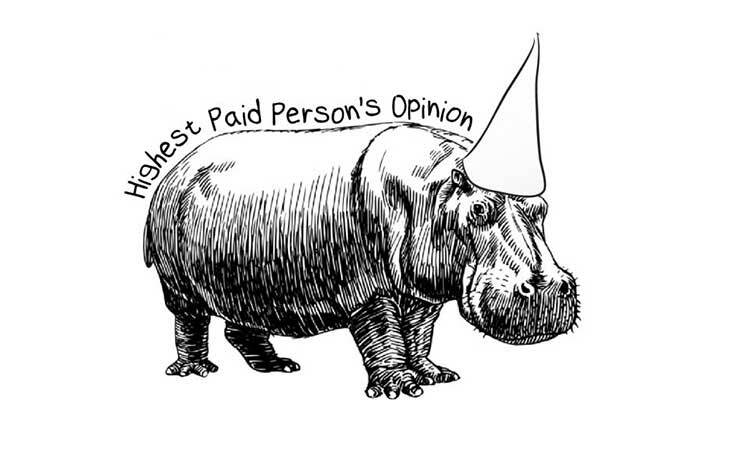 HiPPO, the acronym for “highest paid person’s opinion”, is the manager pops into your project at the last moment and offers an opinion on what to include to make the project a success. You should consider the idea for obvious reasons, even if it’s out of scope, past deadline or as crazy as buying Volkswagen stock. Altogether, the HiPPO theory describes an organisation’s reliance on human instinct rather than data in the decision-making process. And definitely give it a try. Choose a couple of core metrics, put together an hypothesis and apply the suggestions that your boss has kindly provided you with. Then just test the outcome it in a subset of your customers. If the new version underperforms the current one (on any of the metrics for which the hypothesis was formulated), you’ve got a damn good argument to justify why should the company rely on a data driven decisions, rather than on managerial guts learned in top business schools. If, on the other hand, you consider yourself a “believer” in Johnson’s dogma, but feel there’s never enough managers around to get feedback from, AskAHippo may be the right tool for you. 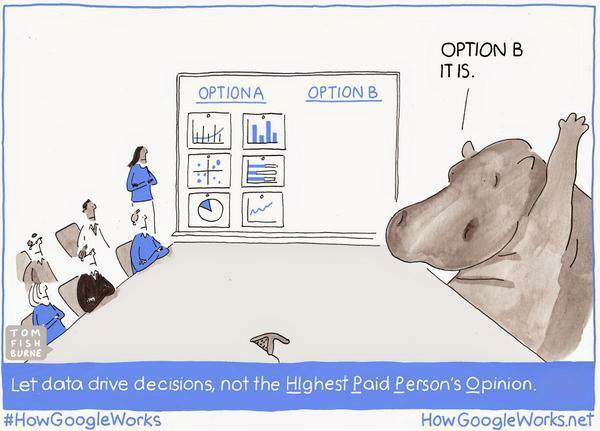 This HaaS (HiPPO as a Service) solution will most likely solve all the decision making issues you may encounter. Don’t hesitate to come back and share the results with us!